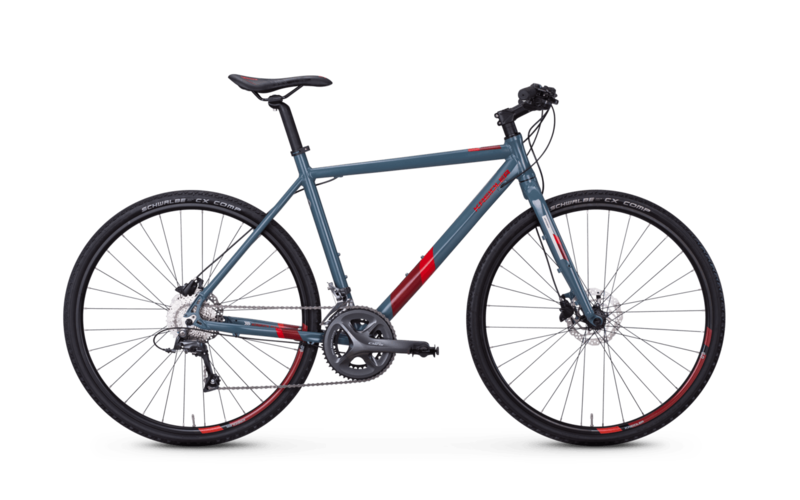 Are you looking for a 28 inch all-rounder to pursue your passion for biking on unpaved paths in nature and on asphalt? But are you just as happy to drive at high speed on asphalted roads? Then the Stack 6.0 Sport is the perfect bike for you. As an all-rounder, the cross bike, which weighs less than 12 kg, combines lightness and robust sportiness. Shift precisely with a Shimano derailleur system and come to a precise stop with Tektro disc brakes. The lightweight aluminium frame combines dynamics and high stiffness. You experience unique driving fun with the Stack 6.0 Sport!